Receive a FREE HAIR ANALYSIS! Whether you’ve just started losing your hair or it’s all gone, Hair Club Sarasota has proven solutions for men and women of every age with every level of hair loss. Let us customize a hair loss solution for you so you can live life to the fullest. Located near the Lakewood Ranch area, a short distance from the Mall at University Town Center, Hair Club Sarasota serves the hair loss needs of clients from communities all over Florida’s southern Gulf Coast, including Venice, St. Petersburg, Bradenton Beach, Siesta Key, Holmes Beach, Long Boat Key, Anna Maria Island and more. Because the area is a premier vacation destination, clients from all over the country are often seen at Hair Club Sarasota. Visit Hair Club Sarasota for a free hair and scalp analysis with one of our trained experts. Together, you’ll determine which of our proven solutions is right for you. Don’t wait another minute—take the next step toward experiencing life in a whole new way with hair that makes you feel confident! Our dedicated team is here to answer your questions and provide a support system through every step of your hair restoration journey. We offer guidance and professional advice that you can trust. We want you to be excited about the reflection you see in the mirror! Rely on the experience and training of our hair loss experts and licensed cosmetologists along with our innovative, cutting-edge technologies to help you feel confident in your appearance. If you’ve tried other hair loss products before, we understand how frustrating it can be when they don’t work. Our solutions are different. We’ve been in business for more than 40 years and in that time, we’ve developed proven solutions that offer real results. We’ve helped hundreds of thousands of clients get their hair back and we can do the same for you. Contact us today to see how we can help your outward appearance match who you are on the inside. Visit Hair Club Sarasota today and take the next step toward getting your hair back. Please note: As we respect your privacy, and depending on building rules, the signs on our center doors do not usually read “Hair Club.” Some may be simply labeled H.C., H.C.M. or H.C.M.W. Hair Club Sarasota located in a 3-story beige building with bronze windows. There is a large lake to left (East) side of the building. Park on the left side of the building. We are the 1st entrance. There is an awning above the doorway that says "Executive Suites". When you enter the building, there is a wall in front of you that has a directory. To the left there is an elevator that goes directly to the 3rd floor. We are at the end of the hall on the 3rd floor, Suite 370. PARKING: Parking is available on the left (East) side of the building by the large lake. The sign has the address (6151) and it says "University Commons Office Center"
Savannah joined Hair Club in 2015 and was quickly promoted to her current role. She enjoys making a difference in people’s lives and her favorite part of her job is seeing the smile on a client’s face after they restore their hair. Andria joined Hair Club in 2004 and was promoted to her current position in 2012. She shows clients the latest hair styling trends and enjoys playing an integral role in boosting their self-esteem through hair restoration. I have been with Hair Club for about 13yrs and have dealt with a number of stylist, however Andria by far has been the best stylist I've ever had. I followed her when she relocated from Tampa to Sarasota and she has always went over and above to make sure I was taken care of. She wears many hats, as I’ve seen her checking customers out and staying late to help her clients. She is a TRUE asset to Hair Club! I was reluctant at first, thinking this was just another scam but they offered a free hair care kit with free consultation so I decided to look into it. That was four months ago and my hair is thicker and shinier than it has been in years. Everyone who I have encountered at this amazing facility goes above and beyond to make me feel comfortable and I look forward to each visit. They even treat my 3 year old son like a VIP!! I needed to substitute my home location during IRMA, and called up to Sarasota to see if I could get an appointment. Samantha said it would no problem and a day later I drove up to Sarasota and met with Moni who did a Salon Visit in about an hour. Thank you to both Samantha and Moni for helping me out on such short notice. You both exceeded my expectations ! When my home location was closed due to IRMA, I called up to Sarasota to see if I can get an appointment for a Salon Visit. Samantha said it would be no problem and she'd be happy to help. The next day I had an appointment with Moni, and I was on my home about an hour later. Thank you to both Samantha and Moni for making me feel welcome and doing a great styling. Most appreciated ! I have been going to the Sarasota facility during our winter stay in Florida. I usually have the same stylist each time I go however due to an emergency I had to have a different stylist. Christine Z., the stylist I had was excellent. She took all my needs into consideration and styled my hair exactly how I like it. Just from talking to her I could tell she is a professional dedicated to her work and customers. I hope I am able to get her again next winter season. As I spent the the month on vacation here in Florida I needed a service. I called for an appointment here in Sarasota and I had the pleasure of having Toya Davis style my hair. Of all the years of having my hair done in NY where I live, I have never been so satisfied! My wife took pictures so that when I return home I can show them what my hair should look like! Toya did a great job! I have been going to the Sarasota location for 9 months. The staff is wonderful. Not only that, but I have the results I was looking for!! I have a full head of hair again!! I have to admit. I was sceptical but after my consultation with Julie I felt comfortable enough to get those first pictures. Wow I didn't even realize how much hair I had lost. Now four months later I have a full head of hair! I'm a true believer and love The HAIR CLUB FOR MEN AND WOMEN! I have been a member for 6 years and am getting ready to sign up for another year. The products are excellent and I have had great results. From my first visit to present the staff are professional, courteous and make you feel welcome. Juli, Mary and Moni care about my concerns and I leave satisfied and looking forward to the next visit. I would highy recommend the Sarasota Hair Club location. I have been at the Sarasota location for about 7yrs.and since Mary Julie and my stylist Andrea came aboard it has been a very gratifying experience and one I would recommend without question. I have been a member since I moved to florida, 6 years ago and am, obviously, very satisfied. I travel about 50 minutes to get there, but it is worth it. the staff, moni, Julie, and mary are super accommodating. they really listen and care about personal requests and preferences. its like visiting friends when you go for your appointment. 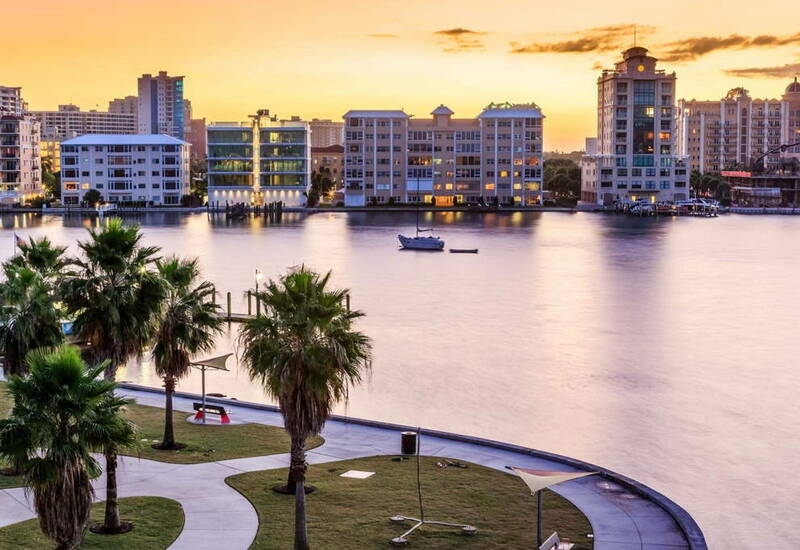 As a HCM member for many years I recently moved to Florida and transferred my membership to the Sarasota office. Mary, Juli, and Moni in that office have been exemplary in all interaction with them including scheduling, information, and monthly service. Hair Club of Sarasota is such a nice and friendly center. Julie, Mary, and my stylist Andrea are so pleasant and professional. With my job I am unable to make my appointments weeks in advance, so I call sometimes 7 to 10 days prior and I am always accommodated. Andrea does such a great job with the cut and styling of my hair - I would highly recommend this center and staff to you. Well, I just signed my second contract so that should tell you that things are going well. The staff in Sarasota are great: Mary, Julie and my stylist Holly are both friendly and professional. I always leave with a positive feeling. Product quality can hit or miss.The staff,however, is terrific.My stylist,Holly,is a pleasure to visit.She is cordial and extremely competent.She maintains a clean organized work area. Mary and Julie are consumate professionals.Your personnel are your most valuable asset. Mike C.
I have been an HCM client for 20 years and have used this center the last few years when I have spent winters in the Sarasota area. By point of comparison, I have been to maybe 10 different HCM centers around the country. Without a doubt, the people who work in the front here, Juli and Mary, are by far the friendliest I have encountered. They are very professional, courteous, and as I said,friendly. The stylist that has cut my hair is one of the best HCM stylists that I have ever had, both in technique and in knowledge of what she is doing. Very impressive. Lastly, they will work with you to get you in on short notice to accommodate your schedule, and do it cheerfully to boot. Thanks for an A experience! I have been a client for 6 months now, and so far have been very pleased with the results of my scalp condition and hair growth. The staff at the Sarasota office are exceptionally professional. Always very friendly and courteous. Juli, Holly, and Mary always make it a pleasant experience. I HAVE BEEN A CUSTOMER OF THE HAIR CLUB IN SARASOTA FOR TWO YEARS AND HAVE BEEN VERY HAPPY WITH THE CLOSE FRIENDLY STAFF FROM THE DESK CLERK,ANDREA THE STYLIST,AND JULIE THE MANAGER. THE MAKE ME FEEL SPECIAL AND PART OF THE HAIR CLUB FAMILY. PLEASE KEEP UP THE GOOD WORK.............A VERY VERY SATISFIED CUSTOMER.....MARINO D.
After several years of comb-overs, hats, and many embarrassing moments I made a decision to do something to correct my receding hair line. There were several directions I could have gone. I decided the Hair Club would be my best bet. Although extremely hesitant and some what embarrassed I took the leap. The team at the Hair Club put all my doubts to rest. Confidentiality, helpfulness, and comfort were the staff’s main concern. The procedure was professional, taking the time and effort to make my look and style the best it could be. The no pressure exemplarily procedure was amazing. The transformation in my appearance brought me back to the days when I had a full healthy head of hair. My stylist is Mani in the Sarasota Fl. Location is incredible. Her dedication to detail and my comfort is without doubt the most positive experience I could ask for. It’s my extreme pleasure to thank Mani and the Hair Club team for the wonderful life changing experience they have provided. Rich C.
I had chemotherapy twice in a 5 year period. My hair came back very fine and thin. I had some major stress in my life last year and I noticed my hair had started to fall out. I tried many diferent products and hair stylist. They all had lots of advice but nothing seemed to help. I decided to call Hair Club. I am so glad I made that first call and set up a consultation with Julie. After only a week to 10 days of using the products daily my hair stopped breaking and falling out. Holly is my stylist and she is great! She has given me a great cut and got me back to my original color. I feel confident in a year I will have healthy care again. The center is a very comfortable place to go. The staff is very friendly and helpful. I am so glad I made that first call and got started in Hair Club. Thank you! It is such a pleasure to come into the Sarasota office! I have such a wonderful greeting from Mary, a lovely professional lady who I admire and if I were hiring someone, that is who I would hire. My stylist Moni is pleasant and always up! Highly skilled and very efficient. After using other establishments, I came across HairClub! I have nothing but the highest praise for the staff and management, especially Moni who is the stylist that looks after me and makes me look 20 years younger!! Than I leave and chase the girls!!!!! Im so glad that I met Juli at Hairclub, she told me everything about the hair, at the beginning I felt sceptical because I went to so many Doctors in Holland that gave me the wrong pills! For 20 years I have had scalp problems and nobody could help me, I went to skin doctor's but they are not hair doctor's and there is a big difference between them and hair specialist. And Iv'e know Juli and Holly for 3 months and I feel better, I use the product, it is perfect and Juli takes good care of me and the treatment is excellent. I live in Holland but, the distance is not so far, it's about my health, and I will come back for the treatment because it has improved! I feel good and I am very happy! In the summer I had a lot of itching ans now that I use the product, the itching is gone. Thank you!!! I have been a member for 14 years and without a doubt the Sarasota office is by far my favorite. Mani is my hair stylest, her talents are second to no ones. Mani has a rare ability to create new hair styles that are always on the cutting edge, she keeps me looking young. The entire staff is always curtious, professional and friendly. Mary greets me with a big smile and makes me feel welcomed. I honestly have a great time and look forward to my appts. Keep up the great work it is truly appreciated. The Sarasota location has an absolutely wonderful staff! As a member of the Hair Club community for quite sometime, I have visited my share of locations, and this one is by far my favorite. From the moment I walk through the door, the staff members make you feel welcomed, and part of the family. Always respectful, courteous, and professional, they meet the environment that I like to be apart of. The stylists here are understanding and very good at meeting my expectations. I always leave satisfied with the hair service provided to me. I would recommend the Sarasota location to anyone looking for an excellent experience. not my local center, but i've been here a few times when traveling. lovely stylists and friendly staff were able to fit me in on a busy friday. Find a Hair Club Center near you. We’re here to help. At Hair Club®, we want you to be happy. That’s why we offer our commitment to satisfaction. © 2019 Hair Club For Men, Ltd., Inc. All rights reserved. Hair Club®, Hair Club For Men®, Hair Club For Women®, Hair Club For Men and Women®, Maxxam®, Trima®, Hair Club For Kids®, EXT®, EXT Extreme Hair Therapy®, Strand-by-Strand®, Polyfuse®, Xtrands® and Xtrands+® are registered trademarks of Hair Club For Men, Ltd., Inc.
**Professional hair transplantation services provided by the affiliated physicians of Bosley Medical Group. Please note that no procedures are performed at Bosley® until the patient has been examined, diagnosed and accepted for treatment by a Bosley physician. Results may vary. If you are having issues with the accessibility of this website, please call us at 888-875-0538 and we can help!